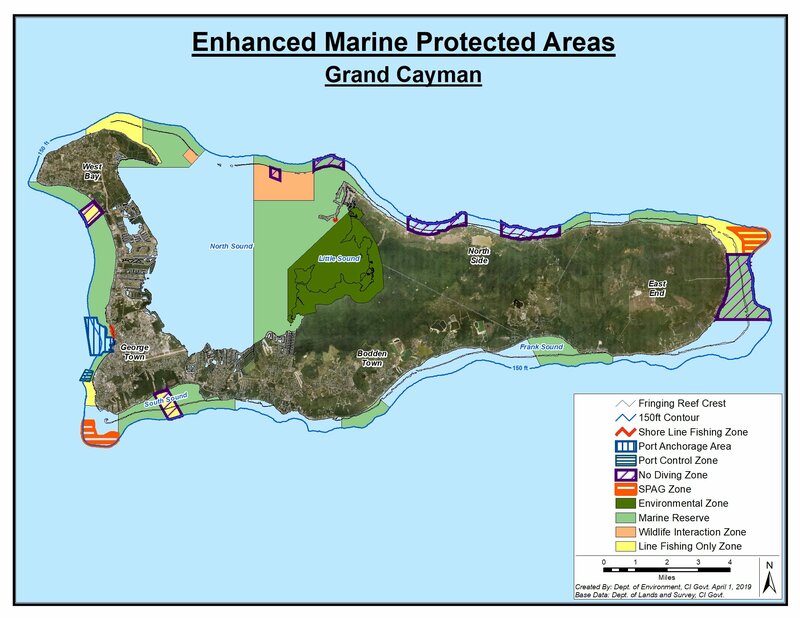 1 April – On Tuesday, 26 March, the Cabinet of the Cayman Islands approved the most significant expansion and enhancement to Cayman’s existing marine parks system since the areas were established in 1986. The change will significantly enhance the protection afforded to marine life within the various zones between the shore and 150 foot water depth – sometimes referred to as “the drop off”. The “no take” areas for marine life – now called marine reserves – will now be substantially increased on all three islands as a result. His Royal Highness, Prince Charles of Wales noted on Thursday 28th March, during a visit to Pedro St. James on Grand Cayman, that the health of our oceans is absolutely vital for our shared survival. The Prince noted that it was heartening to hear the Minister of Environment announce the expansion of the Cayman Islands marine protected areas, which are of such crucial importance. A major focus of the marine parks system expansion, in line with international best practice recommendations for marine protected areas, is the increase of “no take” zones – areas where individuals can no longer take marine life for any reason. These “no take” zones, including marine parks/reserves, environmental zones and wildlife interaction zones will increase from a national average of approximately 14% to 48%. “It’s a modern science-based marine conservation plan developed by Caymanians, for Caymanians, our local residents and our visitors,” said DoE Marine Research Officer Dr. Croy McCoy. “Should these proposals for enhanced marine reserves not have been implemented, we ran the risk of further coral reef degradation and, eventually, ecosystem collapse. With the increasing demands of our rising population on coral reefs, the quality of local marine resource management is pivotal to our economic success. This new network of marine reserves puts our country in a position to continue the high living standards we all enjoy”. The marine parks expansion will also increase “no diving” areas, particularly on Little Cayman and Cayman Brac, where none now exist. 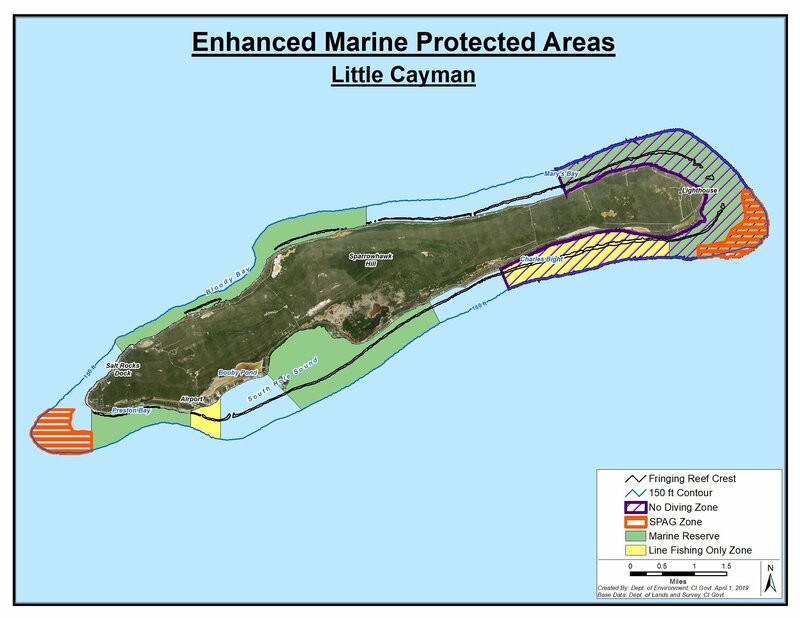 A minimal increase to these particular areas on Grand Cayman is also called for under the enhanced marine protected areas. “It was agreed that some increase in the no dive zones was needed to continue to safeguard our dive tourism and the marine life that tourism product depends on,” said DoE Deputy Director Tim Austin. There is some additional work that must be completed, both legally and from a public education standpoint, before the enhanced marine parks system is put into effect. New marine parks regulations must now undergo legal drafting review. They will then be made public in the Government Gazette, turning Cabinet’s approved plans into legally enforceable regulations. Maps and brochures will be prepared and the DoE and NCC will update the public via all available channels regarding the changes when they come into force. 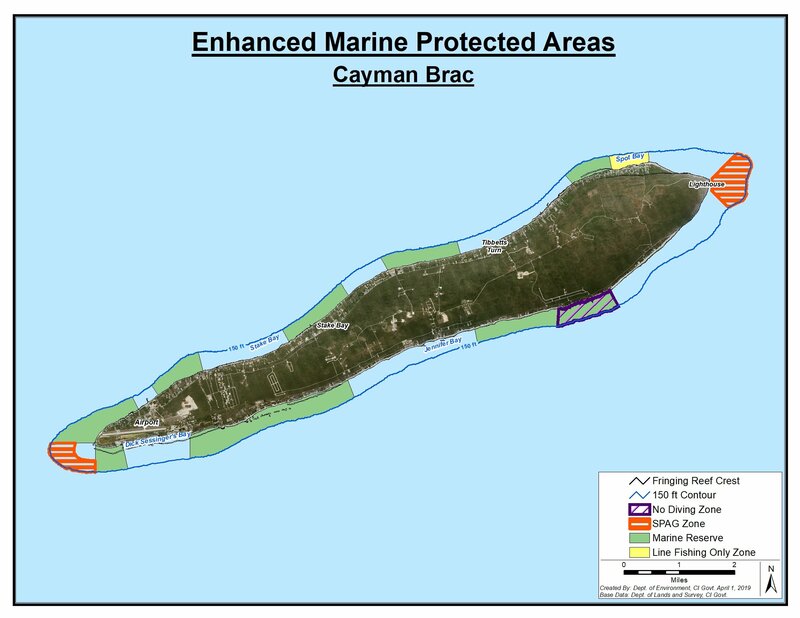 Increased monitoring and enforcement is also planned to ensure this enhancement is effective, as the DoE has recently hired four new officers – two officers on Grand Cayman, one on Cayman Brac and one who will be made a conservation warden in Cayman Brac. No anchoring or tying to mangroves. Bloody Bay, Little Cayman – no tourist boat shall enter the protected area without authorisation of the National Conservation Council and at a time, or in circumstances, where such entry is not permitted by the conditions of such a permit. No tourist boat shall enter the zone without authorisation of the National Conservation Council and at a time, or in circumstances, where such entry is not permitted by the conditions of such authorisation. Anchor, chain or line must not touch coral. No fishing, no diving, no anchoring, In effect from December through April, inclusive, between the 50ft and 200ft depth contours, inclusive. Fishing from shore only is these areas. These are enforced by the Port Authority, Cayman Islands but are listed on the Marine Parks map for clarity and use reference.